Glentoran Football Club initially established the ‘Our Club - Our Community’ Programme in 2006 with the aim to make a positive cultural, social and educational contribution through all facets of football. Now in 2017, we have embarked on the next phase of our journey to broaden our ambitions and to build on the highly acclaimed and successful initiatives delivered in recent years. A major addition to enable us to deliver these ambitions is the creation of the Glentoran Social Partnership as a registered Charity and through which we will seek to focus on this aspect of Our Club. Working in partnership with our local community our ambitions are to deliver a wide range of initiatives to help address issues such as intercommunity prejudice, social inclusion, education and training as well as health and crime prevention. It also works towards enhancing Glentoran’s relationships with its local community and help create an inclusive and family orientated atmosphere at Glentoran that promotes good relations in East Belfast and the community at large. Building a strong and vibrant community proactively engaged with and supporting the club personally and practically through active support, finance and volunteering. Engaging with the local community to pursue mutually beneficial activities in the areas of health & wellbeing, education & employability, sport and leisure as well as arts and social enterprise activities. Creating a ‘virtual Glentoran community’ through social media initially with Glentoran supporters and stakeholders but with a longer term view of building a wider fan base. Glentoran like so many semi-professional clubs rely on the goodwill of supporters and their families to provide many of the essential services in the areas of administration, stewarding, merchandising and entertainment that enable the club to create a safe and welcoming environment for all fans. A major force to keep the club going, has been the involvement of people from the community and further afield both on the playing side but perhaps more importantly from the many stalwarts who have held voluntary positions to help manage and attend to all of the tasks and duties required. This is also reflected in our Community Engagement Strategy Policy which has been fully endorsed by the Chairman and Board as we seek to use our position of influence to engender harmonious community relations and to encourage the involvement of the community in activities beyond football such as health and social wellbeing, people in poverty, youth development and unemployment as well as associated historical aspects. Glentoran Football Club values the involvement of volunteers in our work because they help reflect the interests, needs and resources of the community we aim to serve, and bring a unique perspective on all our work. Glentoran Football Club benefits from the skills, experience and enthusiasm of volunteers and we believe that volunteers should also gain personal benefits from the experience too. Communicating and reaching out through our community engagement strategy and building relationships with the community at large. 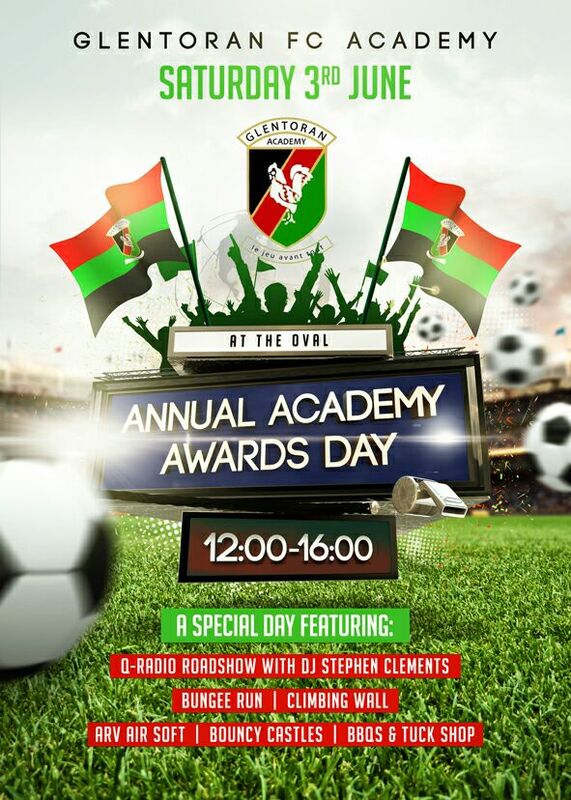 Glentoran Football Club was formed in 1882 and has competed in senior football for its entire history. Our Club is based in East Belfast but has a province wide reach. 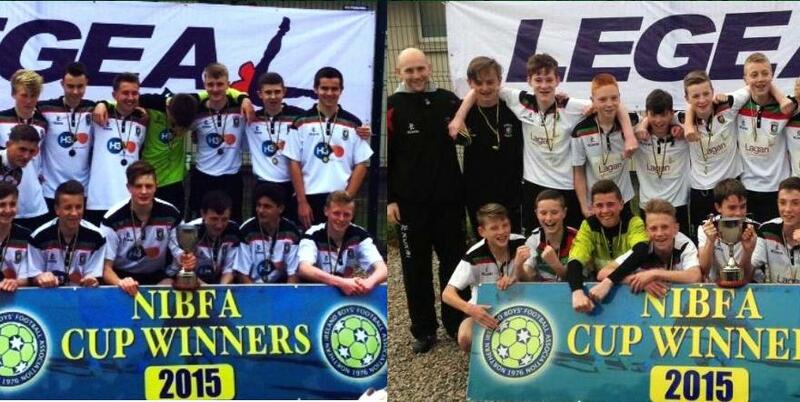 Our Academy draws young people from across Belfast and from every county in Northern Ireland. Our Club also has an active and successful Ladies section. As an iconic feature of Our Community, The Oval is at the core of Our Club and with proposals for a new stadium under consideration will become the hub of Our Community initiatives. In addition to these organisations we have an affiliated organisation Glentoran Community Trust and along with many of the official Glentoran Supporters Clubs are actively involved in community initiatives and charitable activities. Formally formed in 2008 in order to formalise the grass roots activities ongoing since 2002 when the previous Glentoran Community Initiative catered for the underage team. Our Academy was established to give something back to the community that has supported the club for over 130 years. Conversations ongoing re how we can integrate Syrian refugees into the club using a similar strategy to that of the Poles. Academy have educated 45 coaches through grassroots coaching courses and above (to UEFA level). We have approximately 200 family members actively involved in volunteering through providing practical support to the teams on match days, training sessions and fund raisers. Plans to roll out a drug/alcohol training course and coaches to provide nutritional and health and fitness guidance to the Academy players and also parents through documents which Senior Academy staff have produced and distributed to coaches. 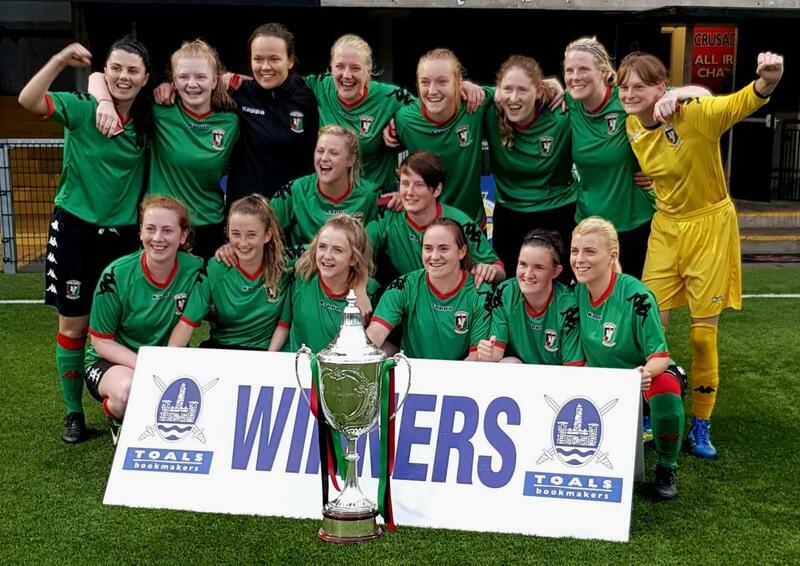 Recently Glentoran Ladies celebrated winning the Co Antrim FA Womens Cup, defeating East Belfast Ladies in the final at Seaview. Through difficult times in 2011 the club faced difficult financial times however during this time drastic action was required leading to the fact that volunteers keeping the club alive. The current numbers are set out below. The overarching aim for the establishment of the Glentoran Social Partnership is to create a structure and build resources that will enable the greater wellbeing and social inclusion for the people and groups of South & East Belfast through community engagement in recreational activities such as sport, recreation community interest and leisure time. In establishing the GLENTORAN SOCIAL PARTNERSHIP it is envisaged that each of the Objects and Purposes will integrate and support each other as a progression or as a pathway to achieve healthier lifestyles and social wellbeing in the South & East Belfast Area. The provision of facilities both indoor and outdoor which are suitable for the participation in a range of sporting activities. The provision of all levels of participation from entry level, playing for fun, playing for fitness through to participation in competitions. Those who will benefit from these activities will primarily be associated with the involvement and playing of football across a range of age groups such as the Glentoran Youth Academy, The Glentoran Ladies Football Section and The Glentoran Legends for example. These groupings will be used to provide the platforms to expand sports activities which involve young people and adults alike in ‘playing for fun and health’. Going forward GSP will create opportunities for our community to engage and participate in a range of sports related activities that will lead to greater fitness, healthier lifestyles and community wellbeing. The GSP (Charity) will be structured in a way which supports the above purpose as a ‘hub’ which will coordinate all of these activities. The benefits will be provided by the numbers of people participating in such programmes and from qualitative and quantitative feedback. (C) To provide and assist in providing facilities for sport, recreation or other leisure time occupation of such persons who have need for such facilities by reason of their youth or social or economic circumstances or for the public at large in the interests of social welfare and with the object of improving their conditions of life. The GSP in association with GFC have a commitment to the development of the community in South & East Belfast and will seek to pursue this through collaboration and partnership work with community groups, youth groups, schools, voluntary organisations, charities and relevant statutory agencies. (see *1). Collaboration will be based on the ability of all parties to generate mutual benefit both for the organisations involved but primarily the ‘participants’ involved in pursuit of the aims of physical fitness, mental wellbeing and spiritual awareness. Through these partnership GSP will be able to provide greater range of relevant activities (Object b. above) and increase access to people and groups in the South & East Belfast Community to become involved. Evidence will be demonstrated through individual activity reports and a Yearly Report of Activities. Glentoran FC and The Glentoran Social Partnership have a commitment to promote equality and diversity across all of their activities in sport, recreation, arts and leisure time pursuits. The GSP will build on the existing platforms that exist across the Glentoran Academy which include boys, girls and disabled football teams, Glentoran Ladies Football Section and the senior teams. In addition GSP will build on existing relationships as well as expanding their activities in cross community activities and programmes at a number of different levels e.g. The Princes Trust Youth Employment Scheme (Cross community cross gender) Cross Community Football interest Groups i.e. Belfast Celtic Historical Society and cross community activities such as quiz evenings and joint interests. Through the establishment of GSP there is a greater opportunity to reach out to a growing ethnic population in South & East Belfast both for specific community interest activities leading to greater cross community (ethnic) relationships. Through the Fighting Food Poverty Activity (The Larder) GFC already have reached out to a diverse group of communities and will seek to build on this. (F) To promote other charitable purposes as may from time to time be determined. The Glentoran Social Partnership will seek to promote charitable activities both as a single venture and in partnership with others. In particular the GSP will work with GFC to promote the nominated ‘Charity of the Year’. In all of the above there is no aspect of the GSP that will provide any private benefit other than incidental through the provision of professional or accredited services in pursuit of the aims of each activity and each area of interest. In addition there will be a requirement for appropriate and identified individuals to achieve relevant accredited qualifications in order to carry out their duties.